These two together cover literally ALL the basics. The third book I have been reading (kind of redundant if you have The Artist’s Guide To Success, but the more the merrier) is All You Need To Know About The Music Business by Donald S. Passman. 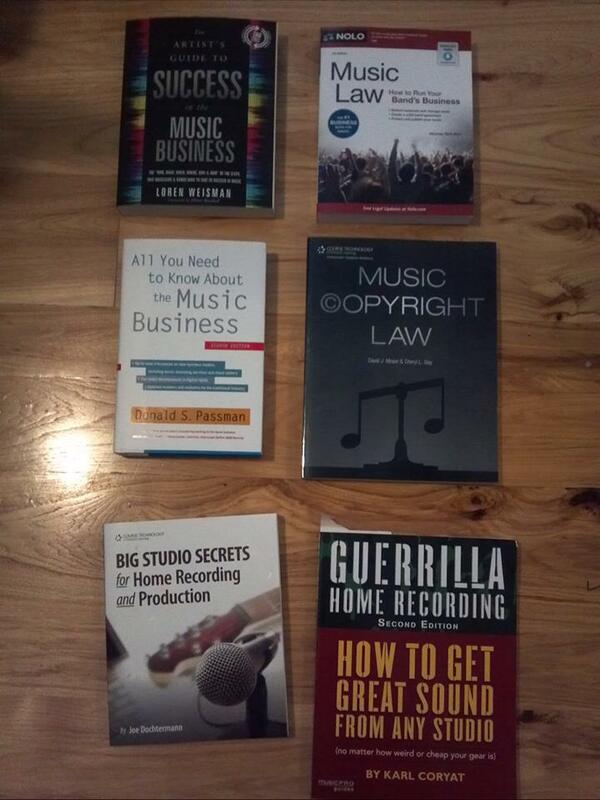 And finally, one that I personally find quite interesting (and applies to everyone in every aspect of the business) is Music Copyright Law by David J. Moser and Cheryl L. Slay. This book goes way in-depth into all aspects of copyright laws, what you need to know and what you need to be aware of. Music Law covers the basics pretty thoroughly but this book I think is another must for anyone who’s ever asked themselves what the rules are on dj-ing someone else’s music, or playing in a cover band, etc.